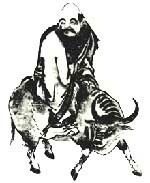 This site is for people interested in the meaning of the Tao Te Ching. As you perhaps know, the Tao Te Ching (translated the Classic of Tao and Te) was written by Lao Tzu with the main intent of providing a handbook of wisdom. Unfortunately, many tried to reduce the meaning and usage of this Book to abstract philosophy – only a few stressed its immediate utility as a guide to the everyday living. This feature is dealt with on this site. Its language of ancient Chinese; this issue explains why we don’t have an accurate and uniques translation. Its wisdom, mainly Taoist, which operates with strange terms such as: tao, yin-yang, wu, wu-wei and fu. Westerners are not familiar with them and much less with their meaning. Its antiquity. Many believe this Book is a piece of ancient Chinese cultural history, something one should put in a museum. One have to face all these aspects in order to seize the real grandeur of Tao Te Ching and the revelation it brings to the modern world concerning a way of being and acting in accord with our ever-changing social and political universe. Did you grasp the meaning of this passage? I doubt you did! So I suggest you start with the Tao Te Ching Summary section of this site. 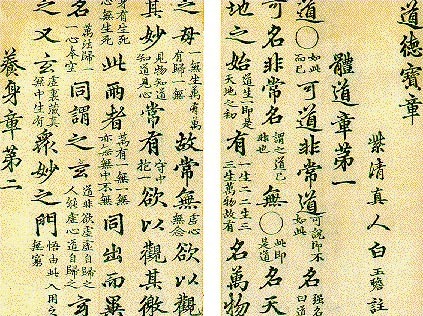 Then follow with Tao-Te, the Teachings and Comments (see the menu above). Regarding the comments, please keep in mind that most of those you already read on the Net are not accurate because they don’t spring from the Taoist mind but from the Western one instead. Many wrongly think that Taoism is similar with naturalism or the hippies era. So you should start from the scratch with ours (comments) and see if they fit! Moreover, when reading the comments, please keep an empty mind. Why? Because one should forget everything he/she thinks he/she knows in order to learn new things. This idea is not a Taoist one – one may find it in Christianity, Buddhist-Tantric teachings and gnostic tradition as well. This is why one may read in the Gospel of Thomas: When the disciple is empty he/she is full of Light. When he/she is full, he/she is full of Darkness. Here too emptiness is the key! The wheel usage depends on the empty space inside the nave. The more with the learning process – it depends of the emptiness in the mind of students. Many tried to explain what is the Taoist emptiness (wu) and what is it good for recurring to all kind of philosophical speculations. But philosophy will not help. We need more: direct experience with the empty mind. We must live and act like ancient Taoist Masters did! Now a few things about translations. I use to read James Legge’s version of Tao Te Ching. Why? Because it is less imbued with Christian ideas and believes. You should know that the scientific approach of Tao Te Ching is made mainly from a Christian point of view. This is true even when it seems that the critic is a free mind person or an atheist. When you meet statements such as the Tao equals the Christian God, you are sure you met a Christian approach of Tao Te Ching which is inaccurate. There are many translations of Tao Te Ching, and many will come soon or later, and what is worst they are not similar. This make the choice of the best one an impossible task. Adding to this the translator’s parti pris, you can easily figure out the mess of the so-called translations. To paraphrase a great Tantra teacher you don’t have to bother with the words but with the practice. If you start with the practice the meaning of the words will automatically be revealed to you. To quote a great Ch’an Master: the words are fingers pointing to the moon, not the moon itself. Practicing? My God, What Is This About? Yes, Tao Te Ching may be put in practice. It provides teachings on how to deal with your word, its challenges and your desires. It shows you the way to success. But you should learn the practical usage of Tao Te Ching. This is not a very simple task. One needs much experience to find out his/her way out to the clear light from the jungle of this Book’s ideas, concepts and words. One should start with the theory and continue with the practice of the Taoist meditation. I want to finish this intro with the presentation of a good beginner’s guide to the Tao Te Ching meaning. This is the first step of your practice. It explains everything in plain words (like at school!). It is a PDF ebook that you may download right now. Click here to learn more. How download the PDF? Thanks. You just click the “here” from “Click here to learn more” above to access the Download page. trying to post to this page but post rejected. I nbeed this guide but I wonder how much I need to know to follow it. You don’t need to know anything prior to this guide. We take you from 0. This is a guide for beginners. Is this guide related to the Tao te Ching or it is rather a personal approach? This guide offers explanation on what Tao Te Ching is and its basic concepts. They are inspired by the text of the book. I read many commentaries on the meaning of Tao te Ching. What maakes yours more interesting? First thing first, is not MY commentary. Secondly, it comes from a Master, that is, a person like you and me but who lives his own teachings. I know of the Tao as being described as the Mother of all things. Is this a metaphor or rather something related to the cosmology? I think we have to see what is the Chinese term rendered as “mother”. And start from this. Generally speaking the mother symbol points to someone’s ability to give birth, or to his/her productive feature which is something pragmatic (compared to the philosophical Tao). Great book, and great guide to living with the perspective of the “way”. Take it too literally and you’ll miss the point and confuse yourself even more. The Tao describes enlightenment. It’s cryptic descriptions are designed to confound the mind, which is the very thing one is trying to accomplish in meditation, to drop the mind. The mind is like a cocoon, very necessary in development, but when the wings are ready to spread, one must drop the mind in order to achieve the full metamorphosis. I suspect Lao Tsu, by writing the Tao Te Ching, thought such a text would aid in that pursuit, like signposts pointing to the right direction, as one rises in consciousness through meditation on one seems like an impossible journey where getting lost is a daily companion, one’s epiphanies are confirmed by the cryptic passages, which only make sense in such epiphanies, until the day comes when one has achieved enlightenment, do the words then fully make sense. Enlightenment does not come all at once, it comes like the ocean tide rising to one’s toes, tickling them, receding, and then coming back, again and again, until the wave comes and overcomes you. Nature gives you glimpses, many of them until what you are seeking becomes visible like a ship on the horizon coming closer and closer until you can see it’s detail, and when reaching that point, one does not need a guide any more, you are on the verge of having your ship come in, i.e., becoming fully realized. I was once asked, what happens to the soul if earth is destroyed before one achieves enlightenment? Good question, and the answer is — no one knows. I suspect we’ll all just migrate to some other planet where they haven’t destroyed themselves. Thing is, who knows what kind of planet it will be? It might be a hellish world, a paradise, or something between like Earth. Nevertheless, no one knows. Better the reason to waste no more time, and meditate a lot, and ignore what is going on the world, its all a distraction, stick to your goal. Good luck.